This is the press release that went out today about the Premier and the acceptance of Ru: Water is Life into our first film festival. North Texas filmmakers earning kudos for documentary Ru In our country, we debate the options of tap versus bottled water. For most residents of the world’s newest nation of South Sudan the water choices are often nothing more than dirty run-off in a ditch a mile from the village or doing without altogether. After 50 years of civil war, the Sudanese have been left with crippling poverty, water-borne diseases, and a lack of basic daily resources. Ninety percent of the population has no access to clean water. A task relegated to women and children, collecting water usually means carrying gallons of water several miles every day. Without water their families will not survive. In South Sudan, water is life. Thanks to a locally produced documentary and the 10th Annual Global Peace Film Festival, September 18 to 23, in Orlando, FL, awareness of these dire conditions will now gain national attention. The day after the premier release of the documentary Ru on July 15 in Dallas, those involved in its production learned that their film had been accepted by the 2012 Global Peace Film Festival in the Short Documentaries category. Ru—Sudanese for “water is life”—grew out of a meet-up at a local pub. Steve Roese’s stories of his non-profit organization Water is Basic putting in wells in South Sudanese villages got the wheels turning with friends Mike Gwartney and Shawn Small. Why not shoot a documentary to educate others about the colossal need for water in South Sudan! In November 2010, weeks before this devastated nation’s referendum for independence, this dream came to fruition. Although Mike, owner of a local production company, could not make the trip, he secured cameras and other necessary equipment as well as funds for the project. Author and director of the non-profit Wonder Voyage, Shawn wrote and directed the film, mutual friend and cinematographer Joel Smith volunteered his talents, and Flying Donut Media owner Jason Wendel came along to shoot stills and assist where needed. In Hai, the village of 3,000 where Water is Basic was installing its 200th well, the filmmakers found Jina Teji, a 12-year-old girl who served as the primary caretaker of her five younger siblings and ailing grandmother. Three times every day, Jina trekked a two-mile course with a 40-lbs jerry can to her village’s only source of water—a hole filled with grey groundwater run-off. This meant a brilliant child fluent in four languages had no time for school. The Ru filmmakers followed Jina on her grueling daily walks until she came to the brand new well that offered clean water to everyone and was only one-fourth mile from her home in Hai. Water is Basic just completed their 400th well in South Sudan. “Our hope is that our short documentary will help raise enough awareness and funds to dig another 100 wells in South Sudan,” notes Shawn Small. “Shouldn’t clean water be accessible to every human on the planet? 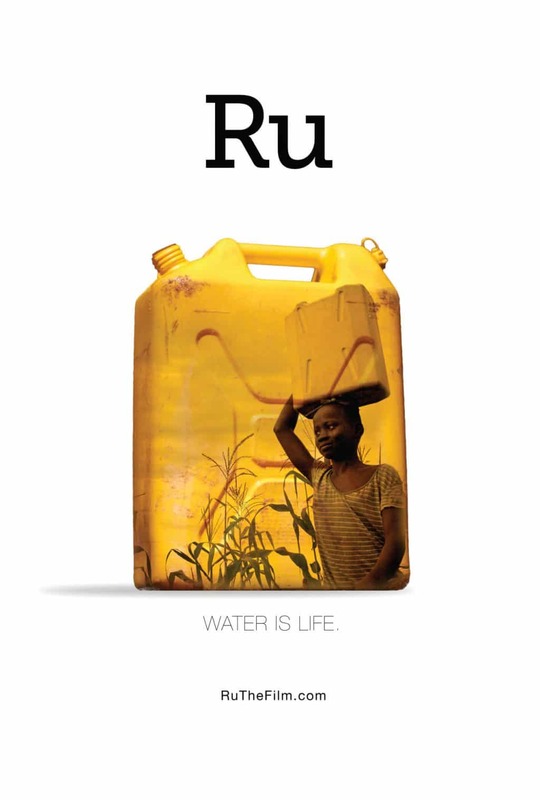 This is our meager attempt to bring that hope to pass.” To learn more about Ru and the Water is Basic project, go to ruthefilm.com.